GRIEFSHARE GROUPS – STARTING SOON! It’s coming….that dreaded holiday season…just around the corner. When someone you love dies, it seems like life around the holidays really hits hard. Sometimes, depression sets in and we’d like to hibernate for the next several months. Think about going to a grief support group. 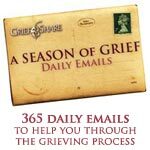 I would suggest getting involved in a group with “GriefShare” before the holidays and then signing up for “A Season of Grief Daily Emails” for the following year in 2018. You’ll meet with others that will understand what you may be going through. There are thousands of GriefShare grief recovery support groups meeting throughout the US, Canada and in over 10 other countries. There’s one meeting near you! Find one close to you! Check out GriefShare’s website: www.griefshare.org for more information. I am currently leading a group in the Atlanta, GA area through my church, Northpoint Community Church. The group meets weekly for 10 sessions. If you’re not ready to join a group, register to get GriefShare’s free daily e-mails for a year. 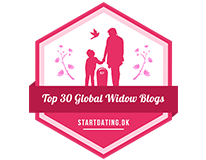 These are 365 daily e-mails to help you through the grieving process.